Every real estate professional knows a home sells faster when buyers can see themselves living in it; when it’s clean and uncluttered, when it shows a sense of style, when the front porch is inviting. In fact, a study of 1,081 homes by the Real Estate Staging Association found that unstaged homes spent an average of 184 days on the market, while staged homes sold within an average of 41 days. As the seller’s agent, you’ve done your part to suggest what needs to be done: Fresh paint. Clean the carpets. Store away excess furniture. But some sellers are better than others in taking your good advice - and sometimes, the timing is tight before you need to host an open house. Go for light and functionality - Open the drapes and/or turn on the lights to let in maximum daylight. 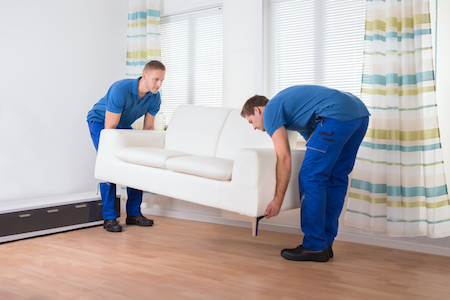 Check for clear pathways leading from one room to another, even if you need to move some furniture. Be sure it smells fresh - It never hurts to use an air freshener, run a cut-up lemon through a garbage disposal, simmer some potpourri on the stove or bake some cookies. Bring flowers - It’s a good investment because a well-placed vase of flowers can do wonders for a blah area - as can a fresh welcome mat and a potted plant on an unadorned front porch. Set the table - An elegantly set dining room table is an appealing draw for many homebuyers. If there is no formal dining room in the home, a cheerful breakfast setting on the kitchen table can have much the same effect. Light a fire - in cold weather, there is little more appealing than a warm fire in the hearth. Place an open book face down on a pretty lap blanket on the sofa to create a cozy ambience. Dress up the baths - Clear the counters and dress them with a basket of rolled guest towels or a glass jar of pretty soaps or seashells to create a spa-like setting.